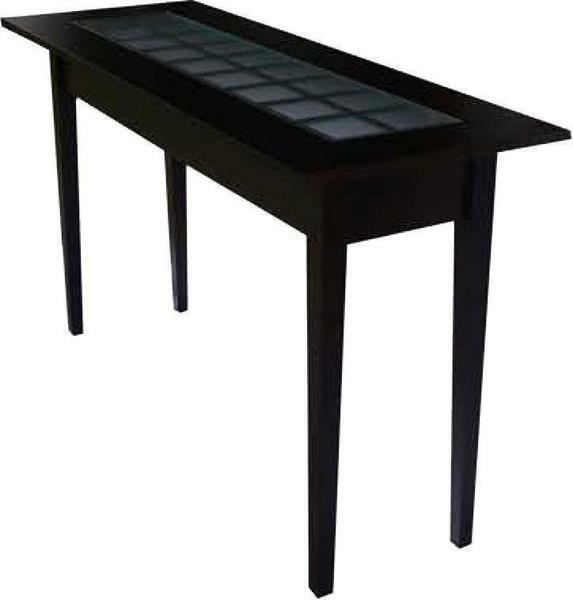 Our Amish Modern Euro Sofa Table features a clean, Shaker style design with a square-edged top, apron, and four tapered legs. Frosted glass with a grid pattern built into the top gives it a modern edge. Whether in the living room behind the sofa or against a wall or in a hallway or entryway, this accent table will add flair and functionality. Available in a variety of wood types and finishes, this piece is shown in brown maple with OV760 finish.